Incorporate a quirky element in your upcoming corporate event by opting for the comedy cabaret act of Magic OZ, which is mesmerizing, creative and original. You can combine both magical services such as using close up magic and finish with a small comedy show. Magic OZ an experienced and renowned top class corporate magician surrey who also offers his services as a garden party magician and wedding close up magician has designed his corporate comedy cabaret shows surrey in such a way that it is ideal to break the ice and with a small comedy show added will cover all attending clients or special guests. Magic OZ would perform magic that would defy logic and leave the audience spellbound. He uses his knowledge about Magical Arts theory with his vast experience and natural talent in Sleight of Hand for designing an evening that the audience can never forget with a comedy show at the end. Magic OZ the Corporate Magician. As one of the most popular and Unique corporate magicians, Magic OZ understands that people love original concepts. So, he avoids those typical tricks and instead, uses creativity and innovation, humour and comedy to design fascinating and close up magic and comedy shows that won’t be forgotten in a hurry. He has a refreshing attitude towards magic and ensures that the audience whoever they may be have a great, fun time, every time they observe his acts. Of course, depending on the specific purpose of your event and other factors, he also performs certain classic magic tricks and can include your company logo to enhance and sell your company name if required. 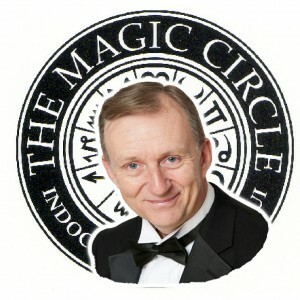 Hire Corporate Magician Magic OZ member of the Magic Circle. Magic OZ will make your corporate Comedy cabaret shows the best cabaret shows possible, corporate shows are usually formal but not with Magic OZ. In most cases, Magic OZ’s approach in performing at these shows is simple-he uses a fun and humour with comedy and interesting props to create the grandeur effect that will be remembered for a long time after. He balances these visually stunning elements with gentle humour for ensuring that the audience does not feel excessively overwhelmed. He making His Clients Happy by Unique design and performance.